Can you believe the print screen button once actually functioned as the name suggests? It sent the content of the entire screen straight to the printer port! Fortunately that functionality changed during the advent of the graphical user interface, saving the entire Amazon rainforest from deforestation. What used to be a simple function of copying pixels on the screen just doesn’t cut it anymore. 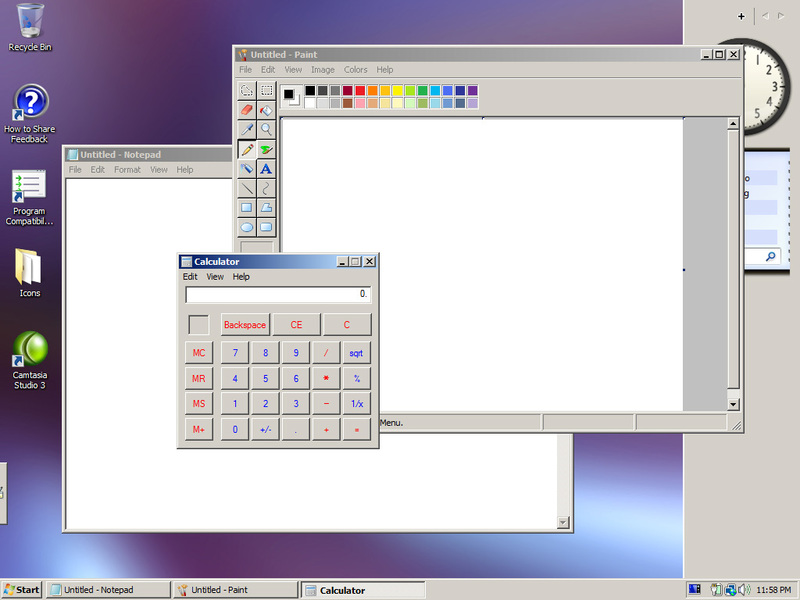 With Windows Vista’s elegant translucency, blurring, reflections and shadows, Aero is stunning in its own right. However what makes the UI stunning also poses some interesting problems for our decade-old pixels photocopier. What used to be a simple “ALT + Print Screen” to capture the active application now incidentally also captures everything behind it thanks to our good friendly transparency. His brother, window shadow, also misses out on the fun. The result just doesn’t do the interface justice. To get a somewhat decent screenshot in Vista, I remember having to minimize all my other applications, set the desktop background to solid white, take the capture and sprinkle some magic in Photoshop. Just a little too much effort for a screenshot. Surely there must be something better. There was! I don’t want to sound like a weight-loss commercial, but then I discovered Kenny Kerr and his flagship hobby, “Window Clippings“. I wiped whole minutes off creating beautiful captures! Take a look at the following before and after comparison. This is what I used to look like, I mean my screenshots. Cluttered with applications, desktop backgrounds, gadgets and everything else. With the same efficiency in Window Clippings, you can select the applications you want to capture. Clip out the background and surrounding applications, keeping the shadows and even full 24-bit transparency. If you care the slightest about how your screenshots look, then you will not live without this tool, OK maybe miserably. Even if you are just capturing screenshots for your school project, you will earn at least 2 grades better^. It requires no install, no system changes and best of all no pennies. Download and run. You may choose to register to access some extra functionality, but it’s unlikely you will need them. As much as the current print screen is an efficient tool in the 3-step ‘check this out’ workflow for many people, it could use a 21st century facelift. As interfaces get more advanced, print screen needs to be capable of capturing its beauty, otherwise screenshots are as good as Windows Classic. Speaking of which, where’s my puke emoticon? However, one feature that I like in Windows Vista is the snippet tool, which lets you draw a box around the section of the screen that you want to selectively copy. It would be nice if the snippet tool were updated with checkboxes to remove backgrounds from transparent windows. Thanks for this useful tool. Cropping using Paint was beginning to bug me a bit too much. Nice, what a lovely way for you to heap praise on a guy making a bit of highly useful software and then *not supporting him at all*, in fact you even *insult people that may even pay for his product*. Seriously, nice. Have any other great tips on how to encourage developers to share their utilities? Personally I go out of my way to skip a super-sized meal or two and buy licenses for products I consider helpful. $10 really doesn’t seem like a lot to part with considering how amazing and useful you find the product. Or maybe it’s not really $10-worthy? So I retract the statement that you were insulting people that paid for shareware. So, sorry about that, I tend to get a little chuffed at the skinflints that don’t support the littles guys. Though, if you find it that useful you really should kick the developer a bit of love. But this I gotta try! BTW Mac users out there, command+shift+4 yields a ‘snippet’ function, command+shift+3 is your ‘print entire screen’ and theres one more function that captures apps. I believe Window Clippings works in the same way however I am writing this reply on my PowerBook! pretty cool app, Long. thanx for showcasing! btw, that checkered background with the gradient might make some pretty decent wallpaper. Finally. Screenshots like ones taken in OS X where shadows are kept. plz send the strategy to reinstalling windows 7 with snapshot. With the windows snipping tool it will not let you perform a screenshot in the Linux simulator I use for school. Window Clippings will wait for you to prompt it to capture a specific area no matter what layer of the desktop you are in. Saved My Day! !